How Far is Sai Proviso Aashlesha? Wear peace and walk lavishness while staying at Sai Proviso Aashlesha. It is a specially festooned residential development which includes all sorts of present age features and latest technologies. The vast acres of greenery infuse ample amount of freshness and peace in one’s life. 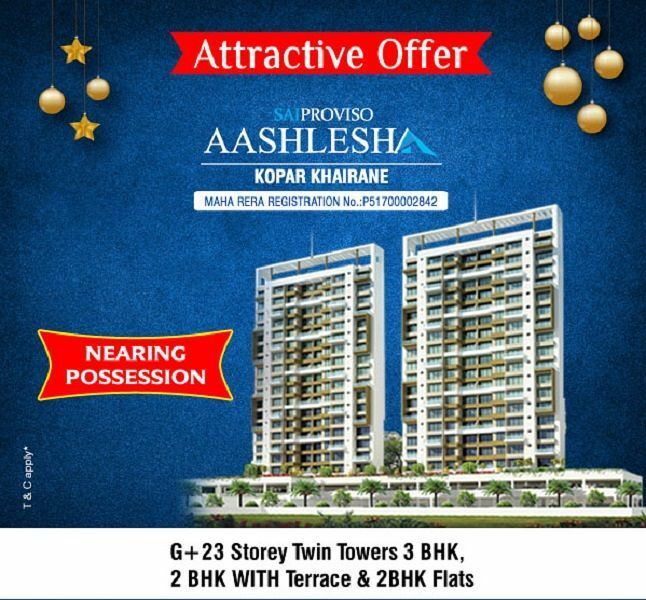 Sai Proviso Aashlesha one of the under construction projects planned with Compact 2BHK Apartments for sale in Kopar Khairane with various floor plans for sale in Navi Mumbai. Developed over a vast area with one single tower of individual apartments the project enjoys proximity to major landmarks. The project is advised for people looking for investment opportunites in Kopar Khairane, Navi Mumbai. The locality favors daily needs at just walkaway distance. The place is an idyllic fusion of eco friendliness and organic constructions beautiful planned to match urban city life. The project is tucked up with green acres and an ample of amenities like Indoor games, Swimming pool, Gym. Weekends and leisure hours can be filled with exciting activities specially designed for dwellers. 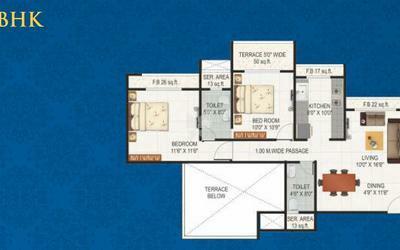 At Sai Proviso Aashlesha you will enjoy all beautiful moments of life within the complex. Location Advantage: 5 minutes Walking distance from this project helps you to access Koper Khairane Station, Ghansoli Road and Thane-Belapur Road. Surrounded by renowned Schools, Colleges, Educational Institutions, Public Gardens, Theatres, Malls, Restaurants & 10 minutes walking distance to DAKC. Full height glazed tiles in bathrooms & W.C.